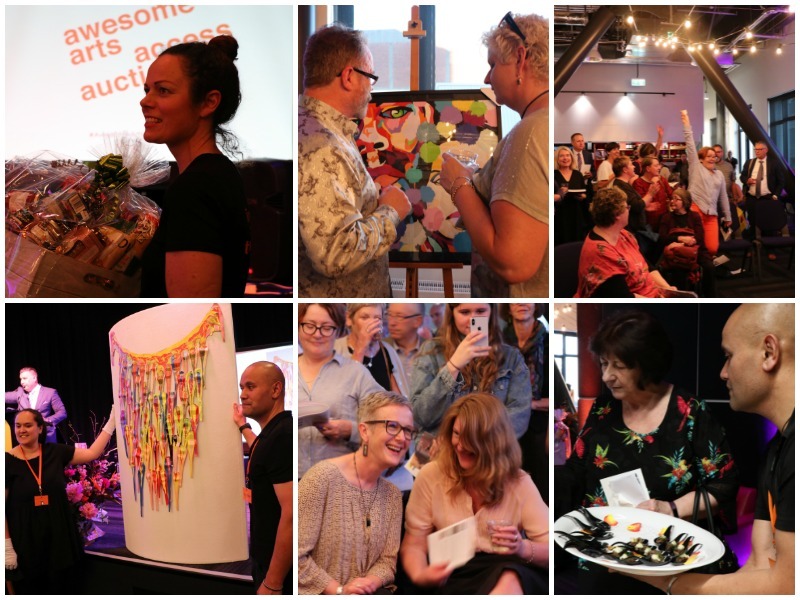 The sixth Awesome Arts Access Auction, a major fundraising event supporting Arts Access Aotearoa's work to increase access to the arts for everyone in New Zealand, was held on Wednesday 14 November at Te Auaha New Zealand Institute of Creativity on Dixon St, Wellington. As in previous years, there was a great variety of items to bid on - from luxury getaway packages and tickets to live performances to art, health and beauty items, and much more. Richard Benge, Executive Director, Arts Access Aotearoa, says the evening is always a great opportunity to have some fun and support the organisation's work. It's also a great networking event and a chance to spread the word about the importance of everyone having access to creativity and the arts. “Every year, we get fantastic support and we are extremely grateful for the generosity of so many individuals, businesses and arts organisations in Wellington and around the country,” he says. Original generation time 1.4808 seconds. Cache Loaded in: 0.0279 seconds.